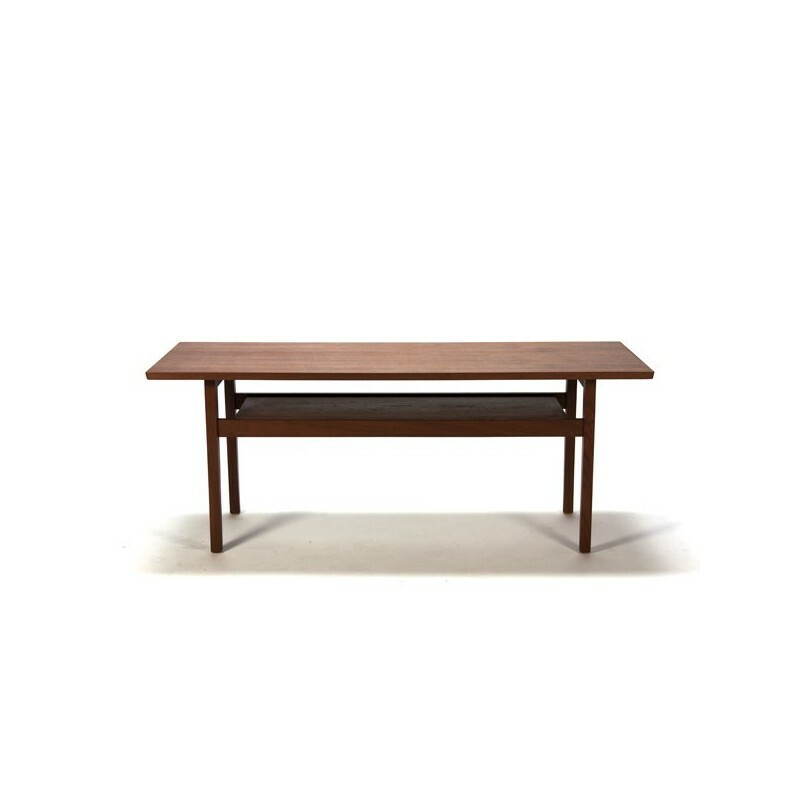 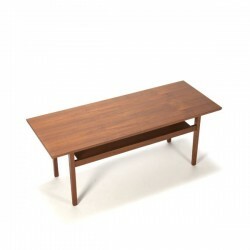 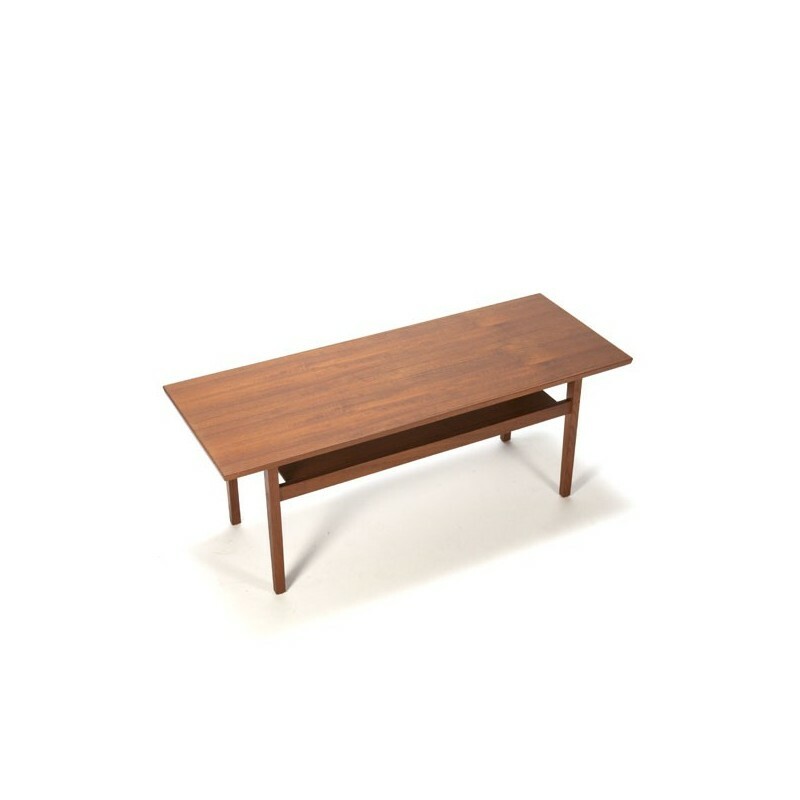 Vintage coffee table made ​​in teak with a nice sleek design. 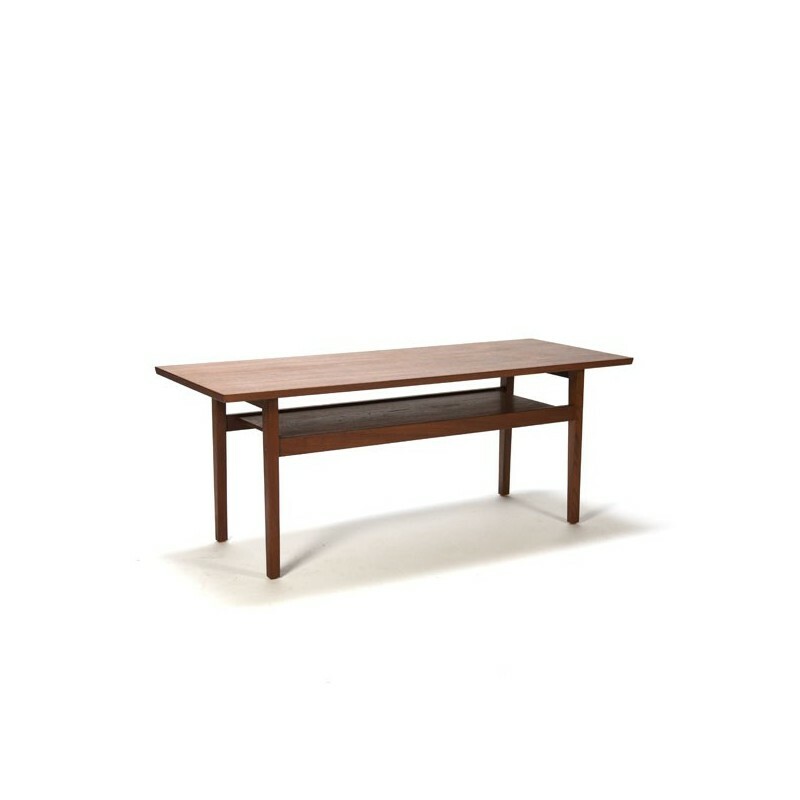 The condition is good considering the age, see the detail photos. The dimension is 131 cm L / 50 cm W / 51.5 cm H.